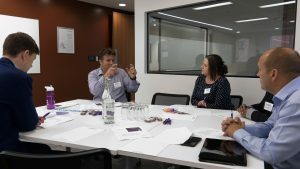 On Thursday 12th July at the Cass Executive Campus in London, we hosted our second Actus Customer Forum. The second Actus Customer Forum began with a breakfast buffet and networking session followed by a welcome presentation by CEO of Actus Lucinda Carney. During the presentation, Lucinda provided a company update with a view of the product roadmap for the year ahead. Client Services Manager Swagata Mukherjee then followed with a presentation introducing her team and outlining what customer service means to Actus. 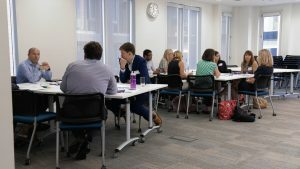 After the presentations, customers were offered four breakout sessions to choose from, including Talent Management, Reporting, HRIS and 360 Feedback. Each customer attended two sessions where members of the Actus Team led discussions around the topics. This allowed customers to discuss common issues faced and to delve into the product further. Guest Speaker Jonny Gifford, Senior Advisor of Organisational Behaviour for the CIPD then took centre stage. He provided a thought-provoking speech on: ‘Appraising the appraisal: scientific evidence on what works in performance management’. Author of ‘Could do better? Accessing what works in Performance Management’, Jonny has many years of experience in conducting research in the HR field and was approached by customers following his presentation to discuss a potential research collaboration. A delicious buffet lunch was served in the main foyer allowing customers to informally network and discuss the challenges they face at work. This was followed by a Customer Case Study by Laura Kelly, Global Performance & Talent Manager, ConvaTec. Laura presented a glowing report on the successful implementation of the Actus Software and the challenges faced at the beginning of adoption. The final Customer Forum session was conducted by Lucinda on the topic of: ‘how do we really embed year-round performance conversations’. This session applied ‘Kotter’s 8 step Model’ to rolling out a Performance Management System successfully with lots of practical tips. 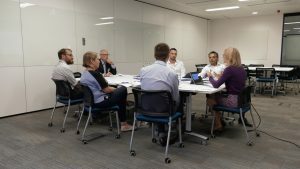 The Actus Customer Forum was very well received! All customers that completed a Feedback Form stated that they would be highly likely to attend a Forum in the future. From all the Actus Team, we are looking forward to seeing even more of you at the next one!